You are wolf is the alt-folk project from Kerry Andrew, an award winning composer and singer. 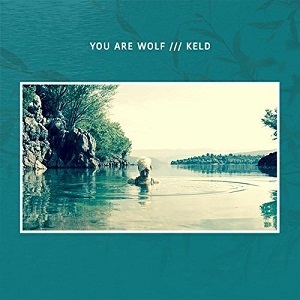 She released the first You are wolf album in 2014 (Hawk to the hunting gone), and is now about to release the second album, Keld. Keld is an old Northern English word that means "The deep still smooth part of a river"
Kerry Andrew has put together an album that is a mix of traditional songs and original compositions, all with a common link - freshwater folklore, so there are traditional songs about waterfall banshees, killer female water sprites, drowning boys and powerful witches. Original songs include songs about vengeful rivers, nymphs and naiads. Whether traditional or new, the songs all sound modern thanks to the way they've been arranged. It's folk but with a twist (hence the alt-folk description of the project). The vocals may sound like folk, but the music takes inspiration from other sources - electronica, pop and more. It's beautifully done - taken too far it could alienate folk fans, not taking it far enough would mean it's just plain folk, but when done just right as it is here, then the result is songs that appeal to folk fans while being different enough to attract a wider audience. A great album - beautiful vocals and nicely arranged songs that use a wide variety of instruments including drums, cello, vibraphone, trumpet and more.